All-in-One Multi Cooking Solution: This advanced oven technology can do Baking, Roasting, Oil-less air frying, Grilling, Air-drying, Thawing, Slow cooking, Barbeque, Braising, Toasting. Retains Nutrition & natural flavours of food that is crispy on the outside and irresistibly yummy and delicious inside. 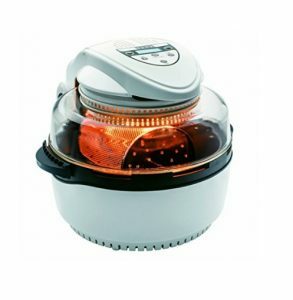 Instant Heating: Natural cooking with light energy for quick heating & deep penetration.